It’s Friday folks so that means no meat for us so I wanted to share another quick meatless meal. 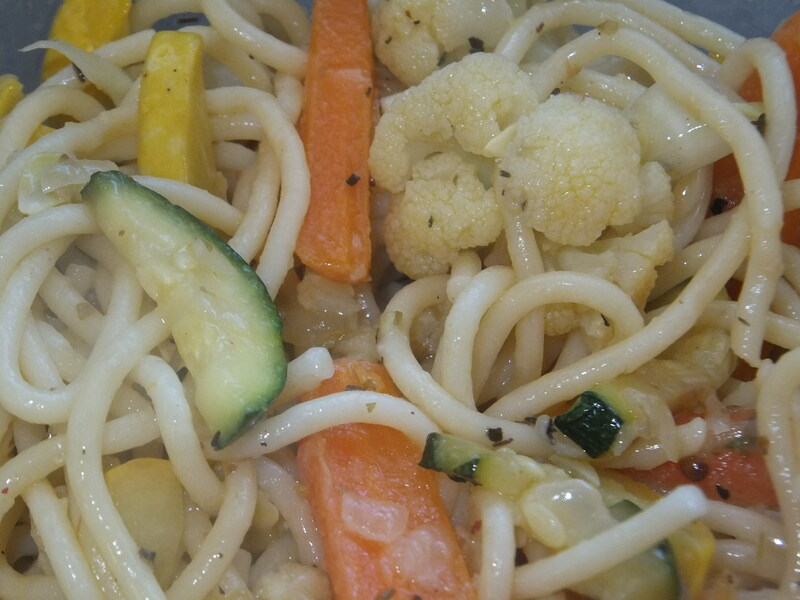 We make Pasta Primavera several times a year. I add different vegetables every time. This time I used vegetables that I had in the refrigerator. I was missing a frozen bag of peas but I highly recommend using peas in your Primavera. The beautiful thing about Primavera is you can make it so many different ways: butter/olive oil sauce, red sauce, Alfredo sauce, and so on. Our favorite is a light butter/olive oil base. Prepare pasta according to directions. Meanwhile, cut and prepare all vegetables. Heat the olive oil in a large wok or saucepan over medium to high heat. Add the onions and fresh garlic along with the cauliflower and carrots. Cook for 4-5 minutes. 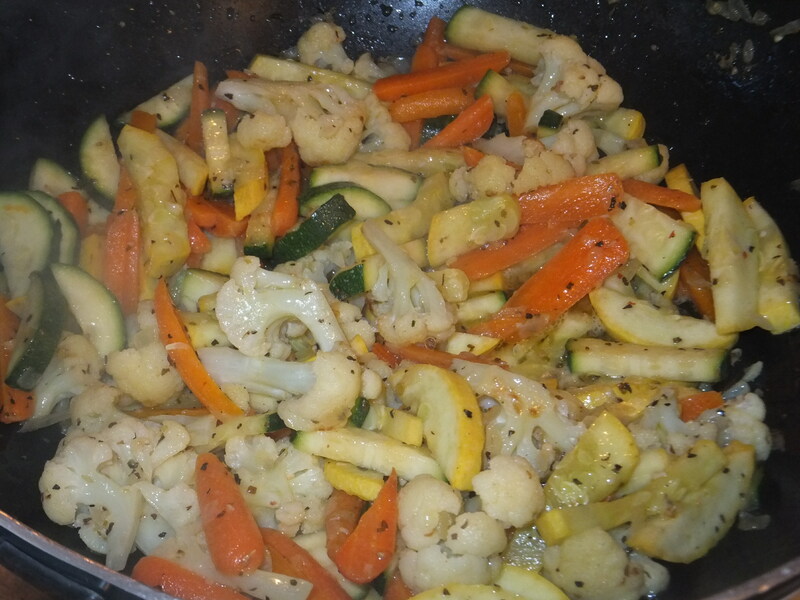 Add the butter and the zucchini and squash. 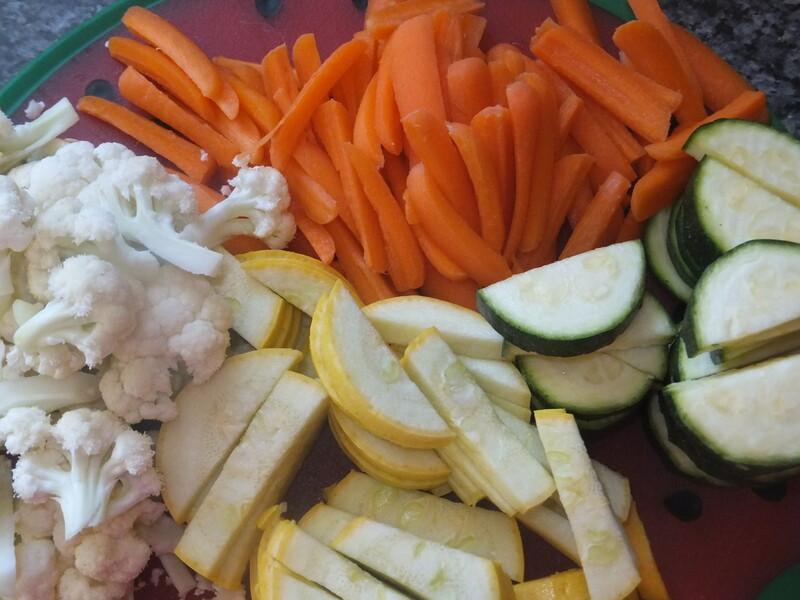 Cook for another 4-5 minutes or until vegetables begin to soften. Next, add the Italian seasonings, sea salt, pepper, and red pepper. Add pasta to pan and toss lightly. Heat on low heat for 3-6 minutes or until heated through.